"The fossils we’ve found aren’t what we’d expect for the area we found them in," said Natural History Museum deputy director Herbert Lutz. 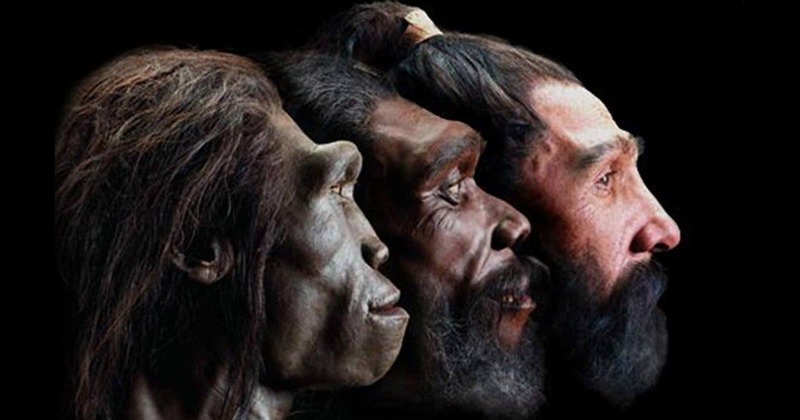 "We don’t know where this new species fits in the family tree. There are similarities to species that lived in Europe around this time. But one tooth, the canine, differs from these. We know of similar examples from Africa, but these new finds are considerably older. We don’t want to speculate, but we wonder what could explain that. That investigation is just starting." The amazing discover opens mysterious possibility that could rewrite what we know about where early human life emerged. 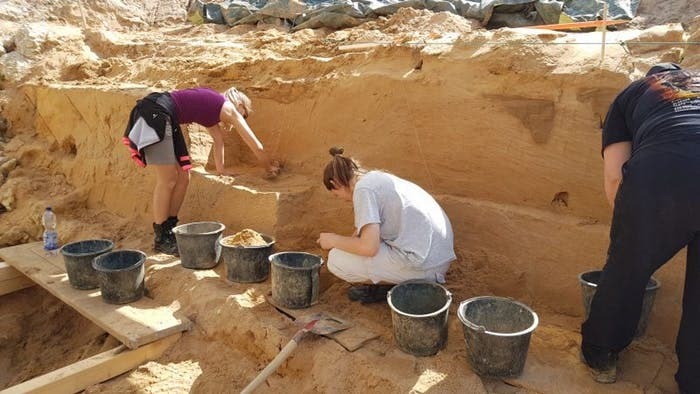 "What these finds definitely show us is that the holes in our knowledge and in the fossil record are much bigger than previously thought," says Lutz. "So we’ve got the puzzle of having finds that, in terms of the expected timeline, don’t fit the region we found them in. We’ve got two teeth from a single individual. That means there must have been a whole population. It wouldn’t have been just one, all alone like Robinson Crusoe. So the question is, if we’re finding primate species all around the Mediterranean area, why not any like this? It’s a complete mystery where this individual came from, and why nobody’s ever found a tooth like this somewhere before." 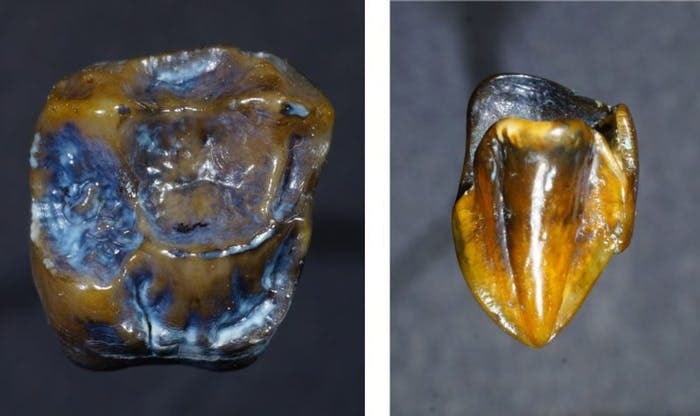 It’s believed that these teeth belonged to a great ape that was potentially an early hominin species, one that could have been related to members of the African hominin tribe. The canine tooth shown below, is indicative that this ancient being is unlike any other specimen found in northern Europe. In the Miocene, a window of time more or less 10 million years before present, there were multiple primate species in Europe, but they mostly lived near the Mediterranean. This region, Eppelsheim in Rhenish Hesse, shown below, says Lutz, is the northernmost site for deposits from this time period in existence. Over the last 200 years, around ten primate species were found there. Almost all of these finds were lost in the Second World War. This is not only the first time something like this has been found here in over 80 years, but it’s something completely new. It’s possible that, with the morphology of this canine tooth being so similar to more recent examples from Africa, the species could be related. That would mean that a group of primates was in Europe before they were in Africa. The discovery could be attributed to the phenomenon of convergence, where organisms not closely related (not monophyletic), independently evolve similar traits as a result of having to adapt to similar environments or ecological niches. It is the opposite of divergent evolution, where related species evolve different traits.. But, there are few thousand kilometers between the species in East Africa and here in Central Europe, and millions of years, observed Lutz. "Is it possible that this uncannily similar characteristic developed two times, completely independently of one another," said Lutz. "So here we are, perplexed. We want to collaborate with other researchers to process these finds, and hopefully in one or two years, we’ll know a lot more about what we’ve got on our hands. It’s definitely a fantastic, exciting story."